We try very hard to make sure our pricing is fair and easy to understand. We think it is important to customize our services to fit your needs and to only charge you for the items you want cleaned. In order to make sure you are not getting charged for extras you do not necessarily want, we have provided a list of the items that are not included in your estimate unless otherwise specified. You may view this list below. The prices on your estimate are only guaranteed for ten days. Window Cleaning: Technicare cannot be held responsible for any damages prior to cleaning, such as scratches, broken seals, or damaged frames. All items will be inspected to determine the best method of cleaning. All work is done to the best of the technician’s professional ability and cannot be held responsible if items cannot be cleaned to perfection due to circumstances out of our control. Our technicians are trained on how to detect and reduce the risk of scratching glass. Glass inherently has scratches and therefore we assume no responsibility or liability for any scratches on glass. With regards to sill cleaning, Technicare technicians automatically clean all parts of the window sill that are visible with the window closed. The sill price on the estimate involves the opening of each window and cleaning the portion of the sill that is under the movable part of the window. It also includes the cleaning of the bottom of the actual window sash. Unfinished Basement Windows – Unfinished Basement Windows are an extra charge and are not included in the Outside or Inside Prices unless otherwise specified. Screen Removal – Screen Removal is included in your Screen Price. Screen Removal is an extra charge when we are not cleaning your screens and still have to remove them in order to clean your windows. Grid Removal – Grid Removal is an additional charge and is not included in your estimate unless otherwise specified. Blind Removal – Blind Removal is an additional charge and is not included in your estimate unless otherwise specified. Edging – Edging is when painters do not tape close enough to the edge of the glass, therefore we have to re-cut the edge of the paint to meet up with the edge of the glass. Sills – We automatically wipe off your Window Sills. A full Sill Cleaning is an extra charge and is not included in your estimate unless otherwise specified. Spore Removal – Spores are little flowering plants that are about the size of the tip of a pen. Spores usually grow in mulch. When Spores flower they are propelled into the air and adhere to windows and other flat surfaces. Spore Removal is not included in your estimate and is an additional charge unless otherwise specified. Click this link to learn more about Airborne Spores. Oxidation or Mineral Deposits – Oxidation is very difficult to detect before a window is cleaned. Oxidation is a very rare occurrence and usually only happens on windows that have older metal screens or other metal materials around the window. 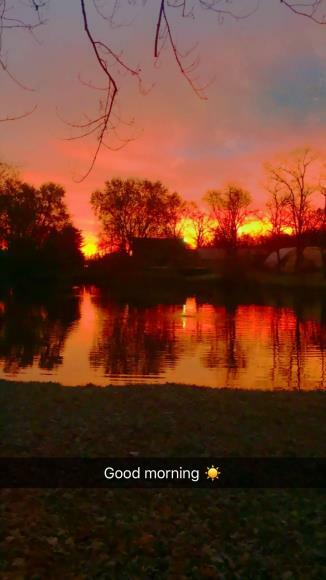 This phenomena occurs rarely and is usually undetectable before the initial clean, therefore we do not include it in our estimates unless otherwise specified. Oxidation occurs when minerals bond to the microscopic pores in glass. The result can look milky or dirty, however cleaning will not remove oxidation. Oxidation requires an acid wash that releases the molecular bond between the glass and the minerals. If oxidation is detected, your team leader will let you know and give you pricing for an acid wash. This is not a complete list. Please ask your Technicare Team Leader for an explanation of any additional charges. Thank you. Best local window cleaning service at the lowest price! 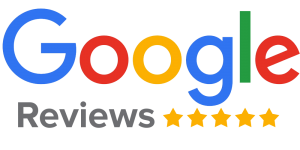 Technicare has become the #1 highest rated residential window cleaning service over the past 20 years because we have always focused on providing outstanding service that “wows!” our customers. We have received the Angie’s List Super Service award every year since the early 90’s. 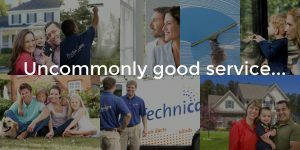 Technicare has become known as the local experts in window cleaning because so many residents have been impressed with our level of service year after year. Window cleaning is not as easy as it looks because it takes a lot of training and practice to make windows shine like our experienced window cleaners do. We use the best squeegee techniques along with the safest and most effective window cleaning solutions to make sure your windows sparkle! Why do so many people rate us #1 for residential window cleaning? Why is it so important to hire the right window cleaner? There are many cases of people trying to clean windows when they have no clue how to clean a window or how to treat your home. We take great pride in the care that goes into making sure your home is treated well. Our window cleaners are careful with your furniture and belongings. We do many things to make sure we are taking care of your home, like taking our shoes off and wearing special shoe covers when we come inside your home. Our careful technicians care about you and your home! Once you schedule a window cleaning appointment with Technicare you will get a reminder email and our courteous window cleaners will call you on their way. When our clean-cut window cleaners show up to your home on time they will be driving a nice shiny Technicare van, wearing nice & neat uniforms. They will greet you with a smile and get right to work. Once we are finished making your windows shine we will ask for your feedback to make sure you are happy with our work! Contact our Columbus OH, Dublin OH, Powell OH, Westerville OH, Atlanta GA or Louisville KY office today for a free estimate on professional window cleaning services, or fill out our form to schedule a service appointment with Technicare! Such friendly employees. Pat was great. Fantastic organization and very pleased with the pricing!